Cord-cutters and cord-nevers have a new option to choose from today with the launch of DirecTV Now, AT&T’s long-awaited Internet streaming television service. The subscription service debuts with… well, who knows what it debuts with. Inexplicably enough, the DirecTV Now website doesn’t provide you with any information about the service like pricing or channel lineup unless you first create an account with them. Maybe it’s just me but this is a glaring oversight that should be rectified ASAP. Cinemax and HBO can be added to any bundle for an additional $5 per month, a reasonable rate compared to what you’d pay from the competition. AT&T is also working on deals to add CBS and Showtime to its lineup but for now, they’re absent. The big news here is the limited-time offer to get the Go Big package for $35 per month instead of the regular $60 rate. Subscribers that sign up early can lock the discounted rate in as long as they keep the plan although AT&T says it may be subject to “reasonable” programming price increases. In areas where local broadcasts aren’t offered, AT&T tells the publication that it will provide day-after-air primetime shows on-demand. Optionally, you could pick up an antenna and use that for local channels as I do. Accounts are limited to two simultaneously streams at any given time. That’s plenty for singles or small families but those with larger families will likely need to schedule their viewing times accordingly. DirecTV Now at launch doesn’t include DVR functionality although it will be added sometime next year. 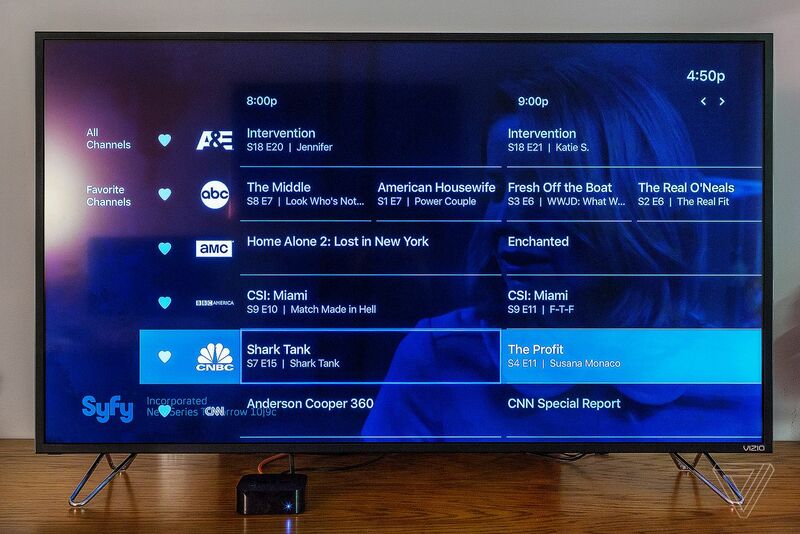 PlayStation Vue launched with a cloud-based DVR while rival Sling TV will soon begin beta testing the feature. AT&T will be zero-rating DirecTV Now for its wireless customers meaning content watched over the company’s cellular network won’t count against monthly data allotments. That's great news for AT&T wireless subscribers but don't expect the FCC to be happy about it. I, for one, welcome DirecTV Now with open arms. When companies compete, customers win.